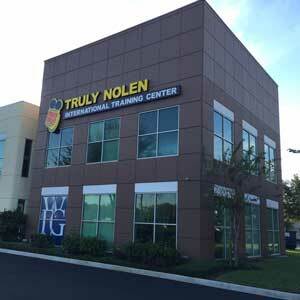 While Truly Nolen’s domestic operations are based in Tucson, Ariz., its international operations (and training center) are based in Orlando, Fla. Mouse cars planting roots around the world continues to be a highlight for Truly Nolen International (TNI), as the Orlando, Fla.-based company celebrated 12 grand openings throughout 2017. This brings its presence to 220 service offices in 65 countries. The franchises that opened in 2017 are located in TNI’s newest locations include La Matanza, Argentina; Braga, Santos, and Amapa, Brazil; Siguatepeque, Honduras; Popayan and Neiva, Colombia; Coronel Oviedo, Paraguay; Osorno, Angol, and Ovalle, Chile, and Davao, Philippines. These 12 openings bring the company’s total to 220 offices in 65 countries. Truly Nolen International employs over 3,500 around the globe, and says it has the largest footprint of any pest control company in the world, in terms of countries in which they operate.